A lot of people get upset when one of their cherished video game franchises “sells out” and branches into genres far outside of the one where it began. Final Fantasy characters in a sports game? Wario in some kind of party minigame collection? Then of course, there’s the game that killed the Sonic series forever: Shadow the Hedgehog. Oh, and whatever the heck Pokémon Channel was supposed to be. It doesn’t always have to be this way. After all, Nintendo has been host to one of the most successful sellouts of all time: Mario. And unlike all of the bad spin-offs in gaming history that make us RAGE, there are plenty of reasons to love the little plumber’s foray into the broader gaming sphere. Mario Party was one of the biggest surprises on the N64 – to the point that I don’t remember hearing anything really about it prior to launch. Yet when it hit, it hit pretty hard considering it came essentially out of nowhere. The idea to adopt a board game format injected with mini-games worked like a charm – and the result was one of the best multi-player concepts introduced in a video game, period. Anyone who enjoyed the original party probably has fond memories of most of its boards, as well as popular mini-games including Bombsketball, Bumper Balls, and Running of the Bulb. 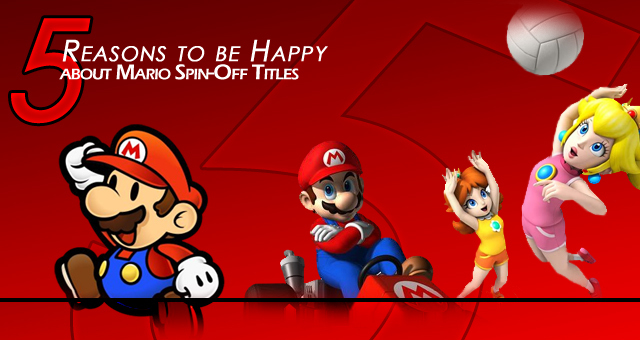 Since then the series has gone through a few transformations, some of them more popular than others, but just when it seemed Mario Party was about to go down the pipes forever it became stronger than ever with its Wii and DS iterations. Oft we forget that just because a game is a spin-off of a 2D platformer, that doesn’t mean it can’t be a 2D platformer also. Yoshi’s first game was, of course, Super Mario World, a core Mario series title, but it launched him to stardom in his own side-scrolling subseries. Yoshi’s Island and Yoshi’s Story went on to capture the hearts of many, but with only one new entry in the last fifteen years – the DS sequel to Yoshi’s Island – I fear the series hasn’t gotten its due justice and probably won’t anytime soon. Everybody loves Paper Mario. It took the neat role-playing ideas laid down by Nintendo-Square’s partnership project Super Mario RPG and ironed them out into a thin sheet of quirky, artsy, glorious goodness. I don’t know how they did it, but Intelligent Systems somehow managed to combine Mario‘s platforming roots with a fun battle encounter system. While I’m one of those who thinks the series declined with time (yeah, I’m saying it – I don’t particularly like The Thousand Year Door), I still loved the even-more-experimental Super Paper Mario and will probably eat up the impending Paper Mario 3D as well. 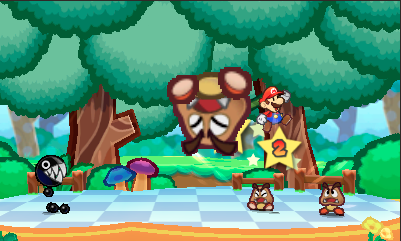 Of course, Paper Mario isn’t the only ongoing Mario RPG franchise – there’s also the famed Mario & Luigi series – but if I had to look back at which one I liked better (and fancy that, it turns out that’s exactly what I’m doing) I’d pick the flat man over the bros’ tag-team adventures, hands-down. Now, this might be just me, but I can’t stand to watch NASCAR races. All right, occasionally there are fantastic crashes, great balls of fire, and moments where two leaders go neck and neck for the finish, but most of the time they’re hardly worth sitting through the other 180 laps to see. There have been a number of successful attempts to emulate the race car experience that have been much more exciting (probably because there’s no life or limb at risk), but none of them have held quite the same charm as Mario Kart. But that’s because Mario Kart is full of the crashes, the explosions, and everything else in between. Whether you’re driving through a minefield of Koopa Shells and Bob-ombs, soaring over a pit of lava ten feet below you, or riding on a rainbow across the heavens, there’s always that sense that something could happen at any time. (Curse you, Spiny Shell!) It’s this unpredictable quality that has kept us coming back to Mario Kart throughout the years, and that’s made the series the best-selling racing franchise of all time. 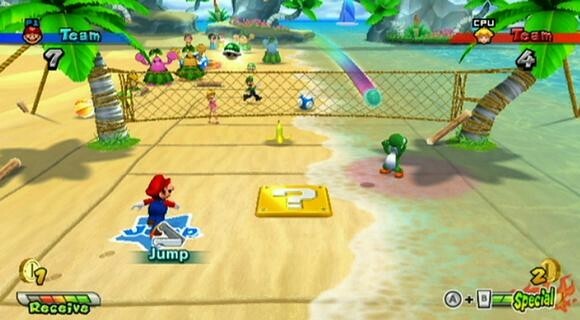 Finally, the true testament to Mario’s versatility: he can play pretty much any sport under the sun. He started off his career with Golf and Tennis but later expanded his repertoire to Baseball and Football (that’s the European sort, mind you) before heading to the Olympic Games with his all-time rival, Sonic the Hedgehog. Sure, the Mario Sports games weren’t the most critically-acclaimed, highest-selling, or even personal favorite spin-off titles, but you’ve got to admit, when Nintendo can find a way to fit a fat Italian man into more than 10 popular sports games, with more still on the way, they must be doing something right. Lest we forget, the unique experience offered by the Mario Sports franchise would be hard to deliver with a brand-new series devoted specifically to sports. The Mario universe is the perfect stage for a soccer match where the sidelines will electrify you if you get too close, the game field tilts and turns over a lake of lava, or you’re just as likely to be struck in the face by an oncoming shell as the game ball. Personally I couldn’t imagine Nintendo pulling off a sports game without tossing in that unique Mario flavor. And now, it’s time for Mario to return to the B-ball court and learn to play Dodgeball, Hockey, and Volleyball with a wide cast of Mario and Final Fantasy favorites from the famous Bros. themselves to the White and Black Mages. Mario Sports Mix debuts in the States tomorrow.